In just a few day’s time The Great Escape festival will kick off, showcasing over 400 bands across 35 venues in sunny Brighton, with a focus on providing a stage for new and upcoming acts. WeGotTickets: How did you become the General Manager of The Great Escape Festival, arguably Britain’s flagship grassroots music showcase? Kevin Moore: As with getting anywhere in this business it involved a lot of blagging and a lot of pretending to know what you’re doing! When I was a student at Manchester University I ended up getting a work placement at Xfm Manchester, and from there I fell into DJing and club night promotion. By doing that I met some of the people who used to run In The City Festival (a similar new band showcase festival started by Tony Wilson) and got a work placement there helping to programme the conference. Once In The City finished up I worked at various other festivals in Manchester and then saw a job advertisement for TGE. That was back in January 2012 and then at the end of 2014 I was offered the role of General Manager. WeGotTickets: Who are you listening to at the moment? KM: This is my favourite time of the year as the TGE line-up is completely signed off and you can just get completely lost in our Spotify playlist. In no particular order I’m really into 808INK from London; Alina Orlova who is this amazing pianist from Lithuania; Have You Ever Seen The Jane Fonda Aerobic VHS? ; this amazing guitar band from Finland; NorthEast Party House, an awesome electronic band from Australia, check out their song ‘The Haunted’; and Dagny who is a wonderful pop singer from Norway. 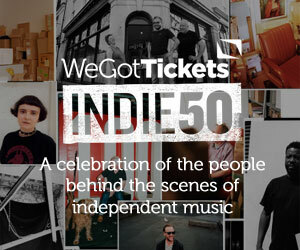 WeGotTickets: What does independent mean to you? KM: Independent means doing what you feel is right. Whether you’re a band, a festival, a record label or a venue, to me, being independent means being able to make your own decisions and follow your own creative vision without (too much!) compromise. WeGotTickets: How does an independent outlook feed into The Great Escape (if at all)? KM: An independent outlook feeds into TGE in many ways. We work with a huge number of independent and grassroots artists, a lot of whom do some extraordinary work in the direct-to-fan world. Brighton as a music city is the home of a number of incredible independent venues, without the support of whom TGE wouldn’t be able to happen, and the TGE convention always places quite a large emphasis on DIY models. In addition to that there are so many independent music companies and businesses working in Brighton feeding artists into the festival. 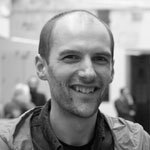 WeGotTickets: What makes Brighton an ideal place for TGE? KM: So many things. In my job I’m extremely lucky to be able to travel to similar events to TGE all over the world but none of them quite have the chemistry that Brighton has. Firstly, the seaside. How many festivals have you been to that are at the seaside? It has a huge number of music venues for its size, the majority of which are all within walking distance of each other, it has a fiercely independent industry who are extremely supportive of the event, an abundance of artistic talent and it helps being so close to London and Gatwick as it makes it so accessible for international bands, businesses and festival goers to attend. WeGotTickets: What’s your earliest music memory? WeGotTickets: What’s the best live music moment you’ve been witness to? KM: Skepta’s headline show at Brighton Dome last year will take some beating! He played shortly after appearing at the Brits and everything that had been happening with Kanye and the energy that was in the room that night was beyond anything I’d seen in a very long time. WeGotTickets: From Stormzy to Kiko Bun, Songhoy Blues to Mystery Jets, TGE celebrates a huge range of musical genres. What’s the grand design behind providing such a diverse platform? KM: There isn’t really a grand design to it, we’re the festival for new music and new music isn’t defined by genres. Genres themselves have blurred so much now and people’s tastes continue to diversify, so we want to ensure we’re providing what our festival goers want and providing a live platform for as diverse and exciting an array of artists as we possibly can. WeGotTickets: What do you think the live experience offers to artists and fans today with live streaming of both audio and video becoming increasingly widespread? KM: The live experience is just something that cannot be beaten. Yes you can stream audio or video of a show happening and that in its own right is great, but to actually be there, in the crowd and standing so close to your idols is part of the experience that is unrivalled. WeGotTickets: What kind of impact do you see the closure of small venues as having on a festival like TGE? KM: Potentially a very significant impact. Most of the venues we use at TGE are between 150 – 500 capacity, so as more venues are threatened with closure in the short term it could affects how we grow and develop as an event. In the long term there is the very real possibility of the talent drying up. Yes there will always be music makers, but if the venues where they can perform continue to close the opportunities to perform live become more and more limited, which in turn makes long-term artistic careers very difficult to establish and maintain. Without the artists coming through there wouldn’t be a future for any music festival, not just TGE. Nominate someone for INDIE50 here, and read more about the Judges here.